Is it time for an overhaul? Your website’s design is what creates the perception of your brand online. When a website is designed impeccably, it builds a certain level of credibility. On the contrary, an outdated look or poor design can make your website (and business) look shoddy and unsafe – the absolute last thing you want in today’s highly-competitive digital marketplace. So, how do you know whether or not it’s time to make some adjustments? Or, when do you decide your website needs a complete overhaul? The overall interface appears obsolete. Bounce rate is through the roof. The content on your landing pages aren’t advancing visitors through the sales funnel. You competitors’ sites look way better. Your website isn’t getting sufficient leads and conversions. At Ayokay, we will make sure your existing website evolves into a powerful tool that drives conversions. 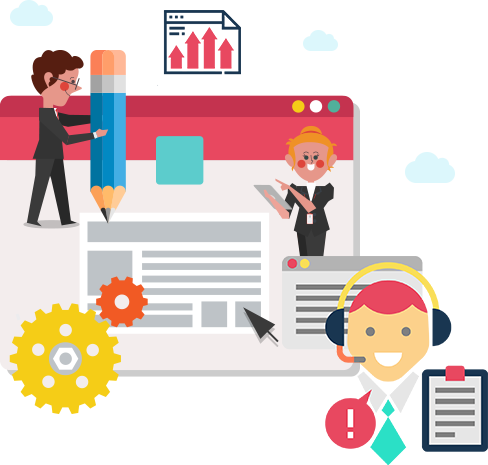 We have many years of proven experience in revamping websites from the ground up, optimizing them, and designing them to strategically meet long and short term goals. 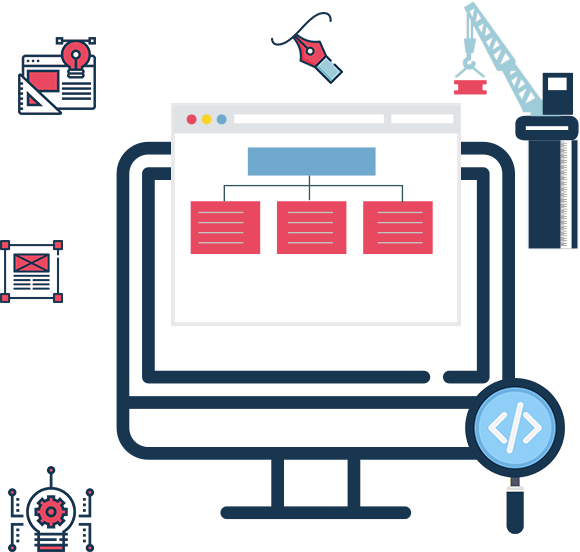 We have a firm grasp on what it takes to craft a 360-degree website transformation and make it suitable and intuitive for all users. Our course of action begins with a thorough assessment of your current layout and the elements contributing to your results. We know that a lot of issues can go much deeper than what is on the surface. Our experts will pinpoint each and every issue and address them appropriately. Our aim is to convert your business concepts into an elegantly designed and highly-functional website. We create responsive interfaces that are optimized for different viewing platforms and screens. Fluid design and user-friendliness is our forte. We will customize everything from the menus to the CTA buttons around your target audience and the motives that drive action. We put UX and functionality in the forefront of our strategy to enhance engagement across the board. Change is Good with Our Experts at the Helm! Our process involves learning the ins and outs of your business goals and using data-driven insights to help you reach them with your website. Approaching each task with the mindset of your ideal user. Formulating scalable solutions through use of the visual elements, graphics, and content. Integrating social media cues to drive traffic to your landing pages. Designing with SEO in mind to increase your site’s rankings on the SERPs. Conducting split tests to continuously optimize your website. Personalizing your website to properly cater to visitors. In short, we make all the necessary changes to result in more leads, find better ways for people to stay on your website, and ultimately, boost revenue without taking away your brand’s essence! For scalable website revamps that grow with your business and are compatible with branding efforts, give us a call! Give Your Website a Design Refresh!